Microfinance provides banking services to the poorest businesspeople in countries of the Third World who do not have access to the financial system, financial statements or guarantees. The rate of outstanding loans provided by the "microfinance" methodology can be surprisingly often lower than for commercial loans. Myelen.com is as a focused peer-to-peer lending platform, highlighting the important positive interrelationship between your financial return and real social impact. To simplify this process, we have collected investment opportunities together into principal axes which is microfinance, climate finance and cooperative finance. 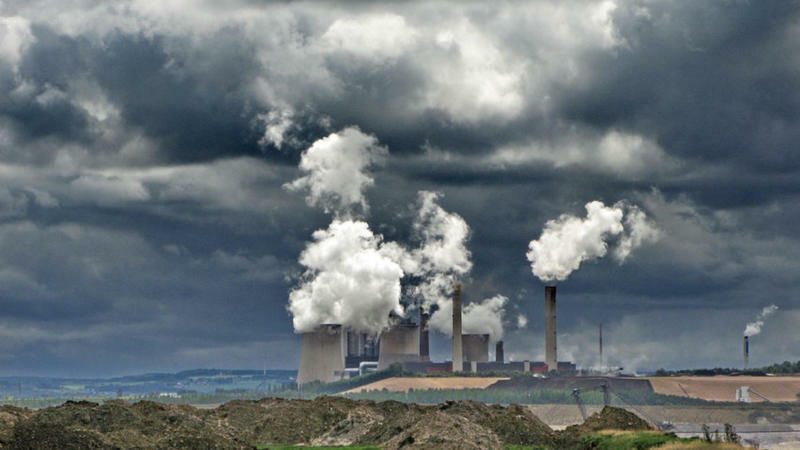 A crash Brexit would wreak chaos in both the EU Emissions Trading Scheme (ETS) and the effort sharing regulation necessary to deliver the 2030 climate and energy package, warn Shane Tomlinson and Manon Dufour. This autumn will be a make or break period for the Brexit negotiations. With the clock ticking on the Article 50 process it is essential that sufficient progress is made on key issues including citizens' rights, money and the Irish border, to move towards substantive discussions on the framework for future relations. A failure to deliver progress would lock-in a trajectory towards a crash Brexit. But a failure is exactly what we might see, for the simple reason that the UK is a divided country with no clear idea of what it wants. This would be incredibly damaging to many policy areas, including energy and climate change. UK Prime Minister Theresa May's decision to call a snap election immediately after triggering Article 50 was intended to 'crush the saboteurs' and lead to a clear majority in favour of her hard Brexit vision. Instead, a wobbly coalition government has emerged, riven with infighting between the soft and hard Brexit wings of the Conservative Party. A blizzard of new UK policy papers has been thrown at it to attempt to paper over the cracks, but it is unlikely that these will survive scrutiny from Michel Barnier, the European Chief Negotiator for Brexit, and his team. There is now a material risk, either through malice or stupidity, of the UK Government collapsing and fresh elections being called in the coming months. However, this may achieve nothing other than to eat into valuable negotiating time as the opposition Labour Party is also divided on Brexit, and yet another hung Parliament would be a real possibility. Continued political chaos in the UK would drive the process towards a crash outcome as it would be unable to either negotiate effectively or ratify a deal. For leaders of the remaining 27 EU Member States there may be a temptation to view events in the UK with a mix of schadenfreudeand complacency. The defeat of the hard right in both France and the Netherlands has paused talks of a Brexit 'domino effect', and incumbency is a powerful advantage in the negotiations. However, while it may well be true that the costs of Brexit will fall disproportionately on the UK, this does not mean that it won't create real damage for EU citizens as well. Complacency in the EU mixed with chaos in the UK would be a recipe for disaster. The example of energy and climate change illustrates what is at stake for Europe. A crash Brexit outcome would wreak chaos in both the EU Emissions Trading Scheme (ETS) and the effort sharing regulation necessary to deliver the 2030 climate and energy package. About 40% of UK emissions, in approximately 1,000 installations, are covered by the ETS and the UK is a net seller of permits into the system. A crash outcome would create huge legal uncertainty over the status of UK permits, potentially resulting in long and expensive lawsuits, and freeze liquidity going into the remaining EU market. The UK is also expected to shoulder more than the average share of the effort sharing regulation. The UK's domestic Climate Change Act commits it to a 57% reduction by 2030 in its fifth carbon budget covering the 2028-2032 period, compared to the 40% target in 2030 for the EU as a whole. Without the UK the remaining EU Member States would either have to increase ambition or reduce the overall target. This would have a major impact on the future of the Paris Climate Change Agreement. The announcement by President Trump to withdraw the United States earlier this year has already created uncertainty over the agreement's future. Without a fully functioning ETS and an ambitious UK it may be difficult for the EU to claim it can credibly deliver on its 2030 promises. If the EU backtracks just as the US leaves there would be little hope for keeping the Paris goal of a well 2°C future within reach, on which the future security of EU citizens depends. A crash Brexit could also lead to an energy investment hiatus as financiers struggle to reconcile the uncertainty. The UK is estimated to require £275 billion of new energy infrastructure by 2021 to replace existing plant and upgrade the network. Foreign direct investment, much of which comes from other EU countries, provides about 40% of all financing for UK energy infrastructure. A crash Brexit would also raise questions over the UK's shareholding of the European Investment Bank. Disruption could therefore create significant risk for the UK energy system and harm EU investors. The Republic of Ireland also risks becoming cut off from the rest of the EU as all its imported gas and electricity currently flows through the UK. This has implications not only for Irish energy security, but also for the peace process in Northern Ireland where the prospect of reintroducing a hard border, either physical or for energy, could undermine the Good Friday Agreement. Cooperation on energy issues will therefore be vital to prevent this becoming a major stumbling block. From the Paris Agreement to energy investment to stability on the Irish border, the risks of a crash Brexit would create material harm to EU citizens. It is therefore in the EU27's interests to seek a cooperative solution that preserves energy and climate objectives. This is not an act of charity to the UK, but a rational response to the domestic threat the EU faces. The demonstrable failure of UK political elites to forge any consensus on how to deliver Brexit means that they cannot be trusted to negotiate in good faith. Energy and climate change is a space where cooperation can flourish. It is not as politically charged as other areas, such as passporting rights for the City of London, but still makes a real difference. Nor is this an exercise in cherry-picking. Application of EU rules such as the European Court of Justice or state aid restrictions would need to be consistent with other policy areas. But diplomacy must start somewhere. Europe poured enormous resources into securing the Paris Agreement, the greatest multilateral triumph for decades, just 18 months ago. Defending Paris and other climate and energy objectives through Brexit is therefore a logical next step.